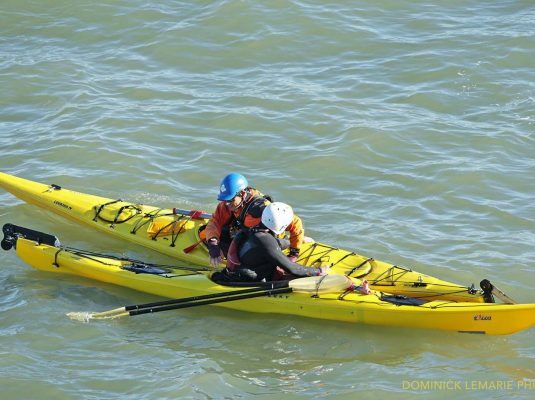 This class test your advanced kayaking skills in the roughest possible weather. 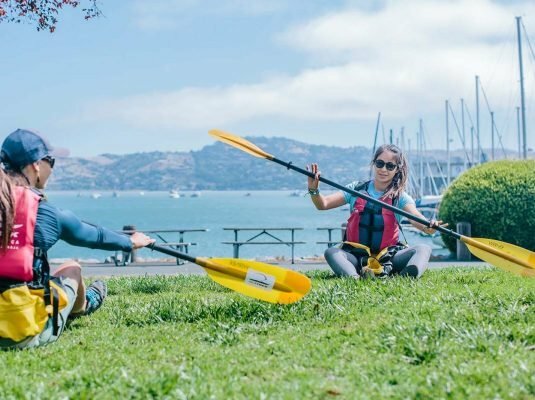 Take your kayak out to Angel Island through the turbulent Raccoon Straits, preferably on the wildest day of the month, and practice your paddling, braces, rescues, navigation, and surf landings. 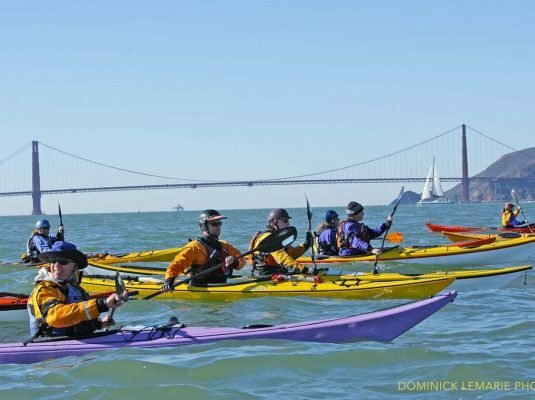 Overall, you’ll be paddling at least 6 miles in strong currents and winds. This class runs from 8:30am-4pm, starting at our Bay Model location. 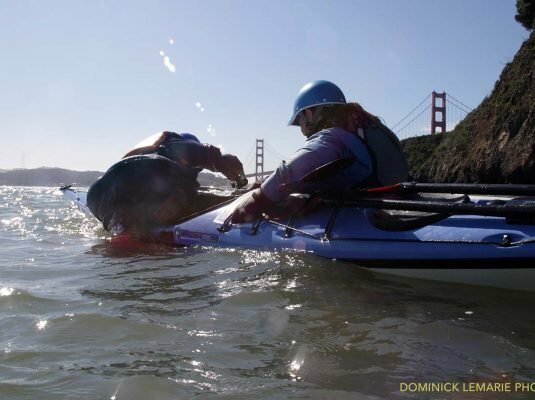 Wetsuit, paddle jacket, and equipment are all included in the cost of the class. Lunch is not included. Check our online calendar to see on what date we are holding the next class. To reserve your spot today, contact us online or at (415) 332-8494.